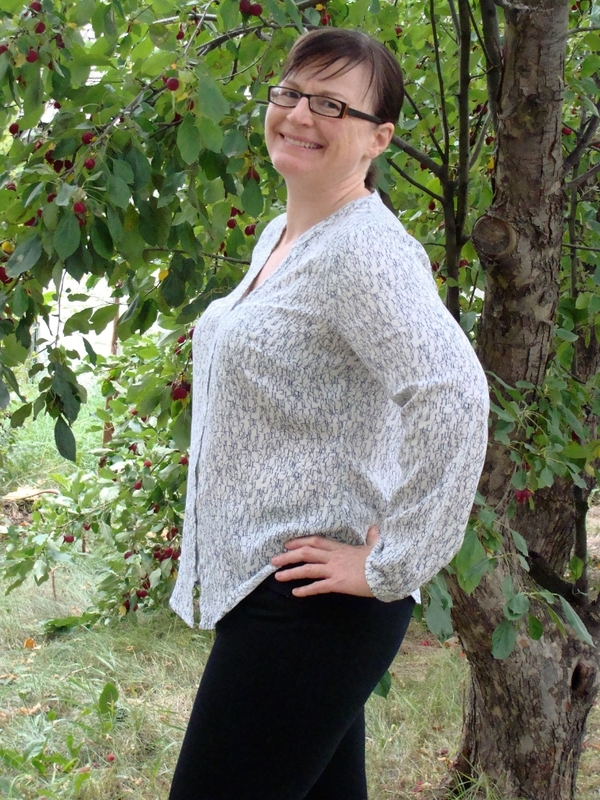 Not long after my first success with making a woven sleeved top for myself, I saw an Itch to Stitch call for pattern testers for a button-up top or dress pattern. With options for long, short, 3/4 length and flared sleeves too! Given my love of Itch to Stitch patterns and my recent realization that woven blouses with sleeves can actually work for me, I applied right away. 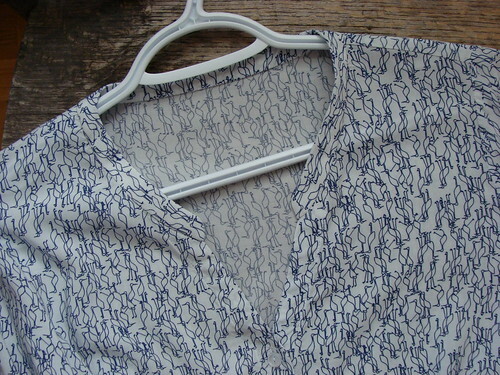 I was particularly drawn to the v-neck and mandarin collar on this design. The collar lays nice and flat and I think the curve of the mandarin at the top of the v-neck is beautiful and flattering. 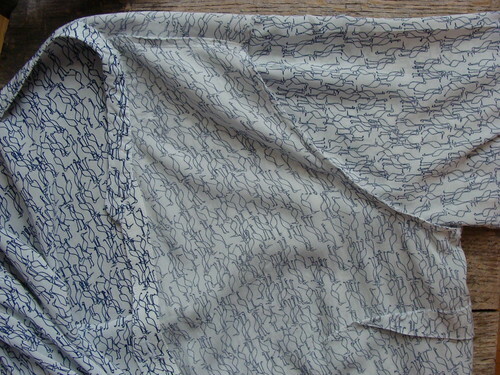 I also really love the type of placket used on the long sleeved version. This is the type of placket I remember using when making shirts for my dad in high school and they still give me that glow of satisfaction when I’m done and they look so nice. 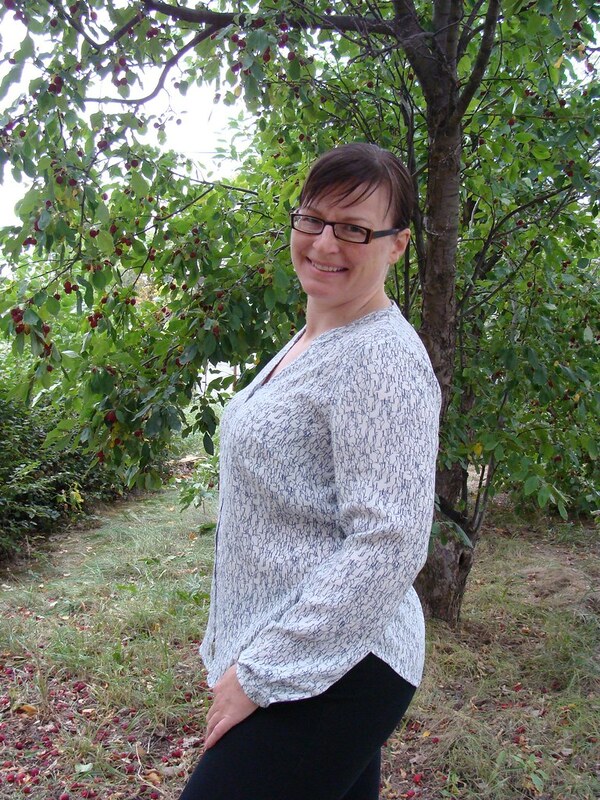 Here you can see (along with a rather goofy expression) both the beautiful neckline and the sleeve placket. I accidentally forgot to shorten my sleeve piece on the final round of testing during which I made this version, so the sleeves are a tad long on me. I like a sleeve that hangs a bit lower than my wrist but next time I will definitely shorten my sleeve piece by 3/4 of an inch. As usual I really enjoyed testing for Kennis and learned things in the process. After seeing the fit of our initial test versions (mine is above) she made a couple of tweeks to the final pattern. 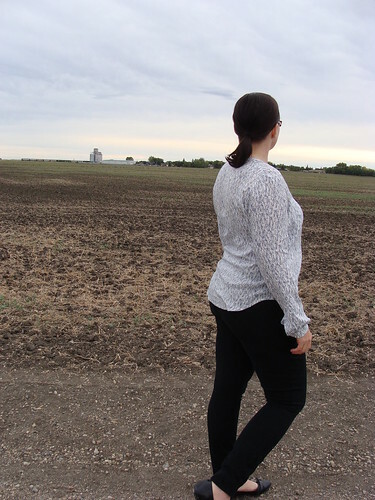 I thought it was very interesting to see how she adjusted to make the pattern narrower at the back neck and how the adjustment made the fit nicer for me at the shoulders and improved my arm mobility. I have so much to learn about getting the right fit and what adjustments make things more comfortable. At this point I’m still learning what are “normal” adjustments for me and I love seeing the effect of changing a pattern in a certain spot. 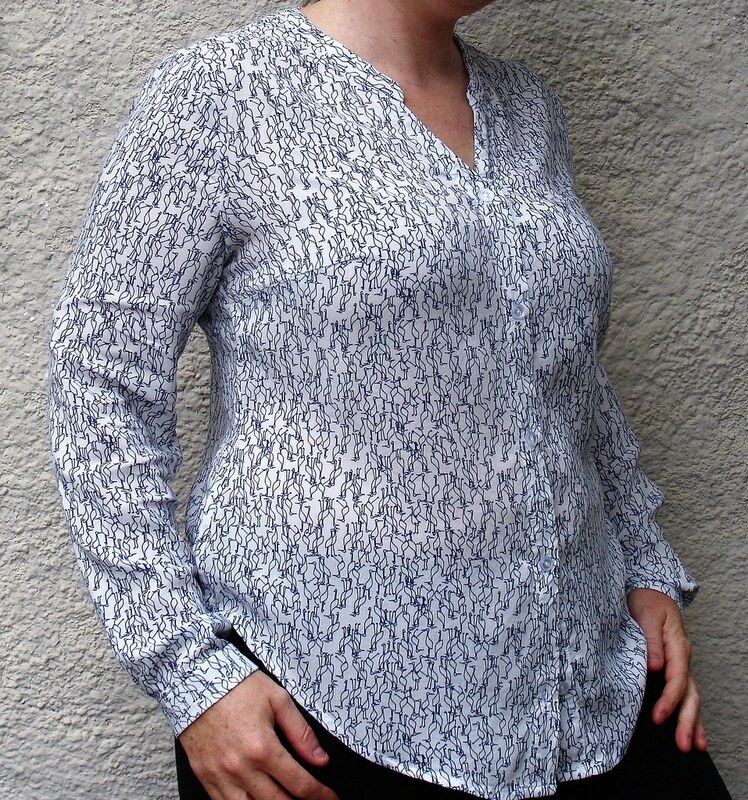 In the photos above I have pinched out from the neckline, an adjustment Kennis made to the final version of the pattern, and it was so interesting to see how this made the shoulders be in a better spot and made it less restrictive to raise my arms. Terrible sleepy and rather blurry “fit pics” taken at night during the testing process, but I was too lazy to iron my muslin and take better pictures! Above you can see the better fit at the shoulders and under the arm with that pinch taken out from the back neck. Back to nicer pictures now. The fit of the pattern is quite relaxed, though you can’t really tell in the drapey rayon I used, and the pattern is so versatile. 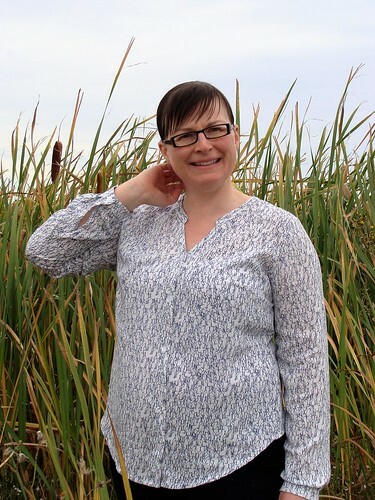 It’s quite dressy in the material I chose but there are some beautiful casual versions made by other testers too – see here. I’m very much wanting a plaid version and one in a solid coloured shirting. 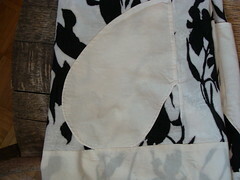 My insides are pretty too since I used french seams everywhere, even the sleeves! In my muslin I discovered that the sleeves are so easy to set in for this pattern (spectacular drafting on these) so I decided I was going to french seam the armhole as well. My first time ever using that method on a set in sleeve and I’m so happy having all my seam allowances enclosed! 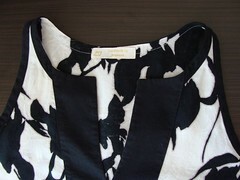 How to sew a mandarin collar. Making a narrow curved hem. 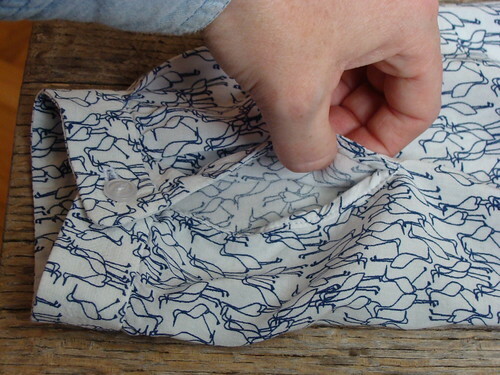 When to clip and when to notch a curved seam allowance. *** I spent $9.65 on the materials for my muslin. 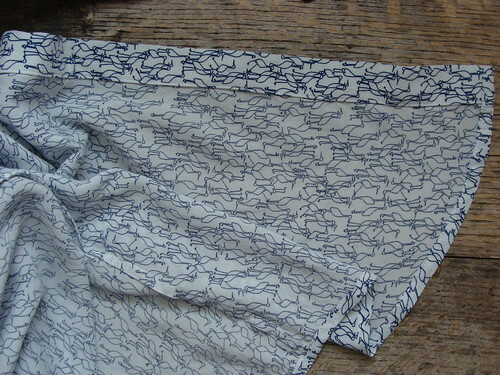 I’m not sure if it’s worth the work to unpick and adjust the back but it’s a light cotton lawn. If nothing else it will be perfect for wearing while I’m gardening to protect me from sunburn so even my trial run of this pattern should be useful! In my muslin i shortened the sleeves by 1/2 inch on the lengthen/shorten lines but I forgot to do this on my final pattern version. Next time I will shorten them 3/4 inch. The sleeves were wide enough for my arms with no adjustment! Love the neckline and collar. Love the pattern comes with different cup sizes so I don’t need to make a full bust adjustment. 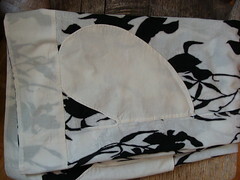 Versatile pattern as it can be quite dressy or casual depending on the fabric chosen. The sleeves set in so easy!! Gah! The only general negative thing I can think of is actually a perk for me. I would say that I have wider arms than normal so somebody with normal to thin arms might find the sleeves on the pattern too wide. It’s really hard to think of dislikes after being part of the testing process and having all my gripes already addressed by the designer. I’m becoming quite the Itch to Stitch fangirl, lol. Pieces fit together perfectly, instructions are clear and very detailed and the material requirements were accurate. There are lengthen shorten lines for both the body and sleeves and comes with sizing for A through DD cup bust which is fabulous for getting a great fit. The pattern is rated as intermediate which seems reasonable to with it having sleeve plackets, set in sleeves and a mandarin collar. Make a casual version in flannel or plaid shirting. Try narrowing the shoulders slightly more or attempt a newly discovered fit change, making a petite adjustment above the bust which would also raise the underarm. In my final version I still feel the underarm is a bit low on me (this seems to be a normal fitting issue for me which I’m try to figure out how to adjust for) which causes a bit of pulling when raising my arm. This post contains affiliate links. 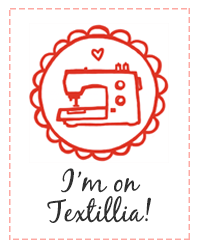 If you click on an Itch to Stitch link within my post and end up buying a pattern I will receive some moola to fund my sewing projects, thank-you! My reviews and thought are my own but I realize receiving compensation can impact opinions, whether consciously or unconsciously. 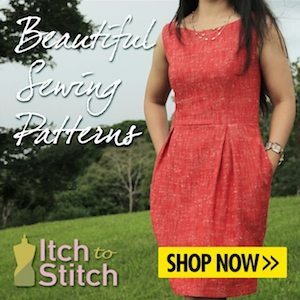 If you hate affiliate links you a can click this non-affiliate link to go take a look at Itch to Stitch patterns! 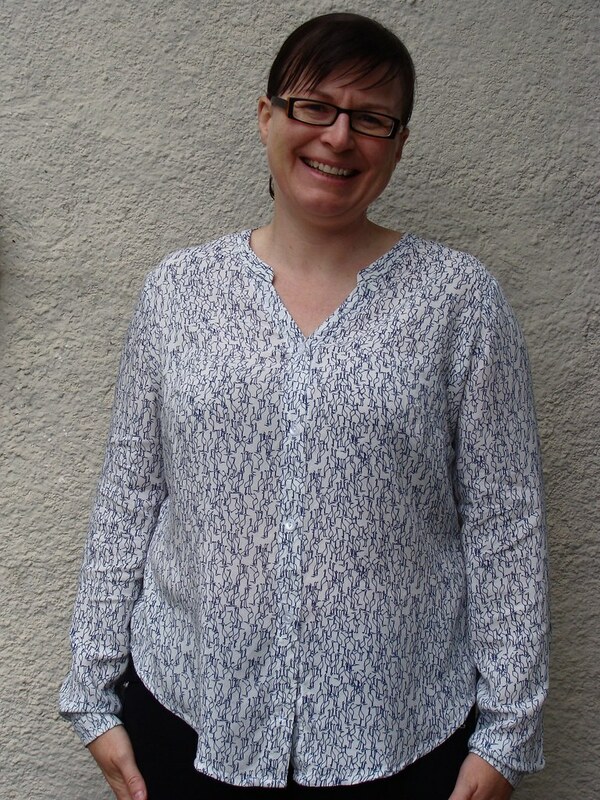 Such a lovely pattern, the fit looks great and it’s lovely to have a decent review and to the pattern is so good.